Today’s batting helmets are being stronger than ever before. Many would argue that no one builds them stronger than the Under Armour company. Under Armour is a very popular choice among hitters. They build strong and sturdy batting helmets that are also quite comfortable to wear. 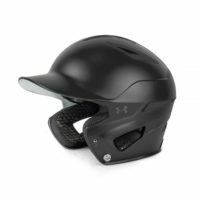 Helmets like this Under Armour Adult Matte Converge Batting Helmet UABH2-150M give players the perfect combination of protection and comfort while up at the plate, resulting in an all-around better hitting experience for the batter. You should definitely take advantage of this new Under Armour helmet. Here are some of the more exact details of all it has to offer. This UA Adult Matte Converge Batting Helmet UABH2-150M has been given a completely updated exterior shell. The shell features ridges that give it an added level of strength. 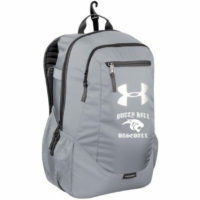 A wrapped charged foam liner on the interior adds additional protection to this item. Feel confident that if a ball or anything else ever hits you up high in this helmet, you will be protected. The unique design of this helmet’s exterior shell also works hard to keep you comfortable. 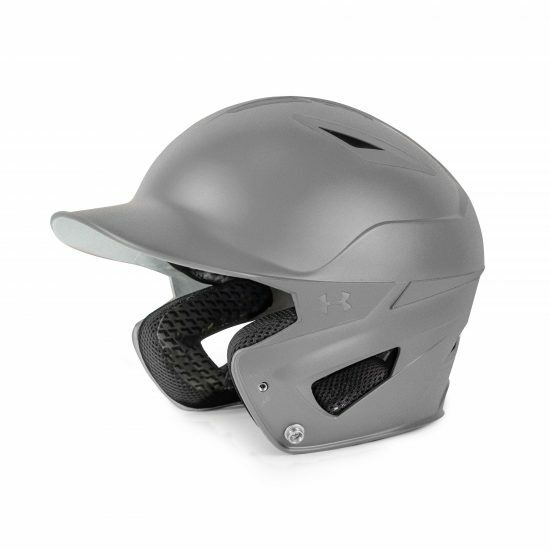 It has large ventilation ports, that allow constant airflow throw the helmet. That combined with the product’s interior Heat-Gear liner, will do a terrific job of keeping batters cool and dry during each of their at-bats. This helmet should come through in the clutch for hitters even on the hottest of summer days.